I have been well informed that Laura loves the art of conversation, so this should make for some interesting reading! I live in Hertfordshire with my wonderful husband, artistic daughter, musical son and a very moody cat. 2.) Describe a real life experience that inspired you artistically. It will sound very cliche but becoming a mother inspired me very much artistically. I have always loved art and crafts but didn't do much. When my daughter was about 6 months old I made my first mini scrapbook album about her. It was making that first album that really sparked my fascination for crafts. I loved it so much I began to make mini albums for family birthdays and Christmas. 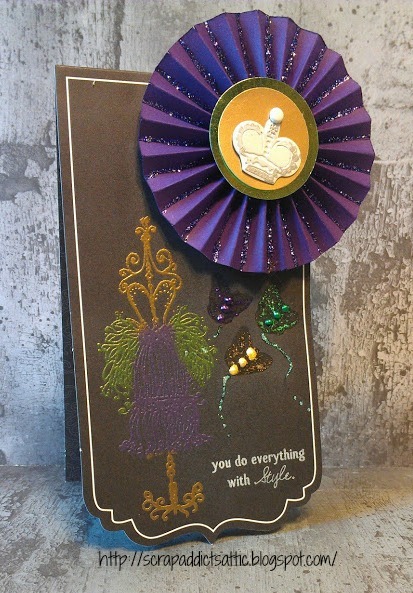 My interest then extended to many other crafts. 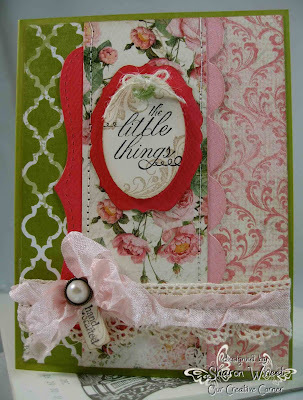 As my daughter grew I began to teach her crafts as well (she made her first 8 x 8 scrapbook by herself when she was two years old and she was featured in a scrapbook company magazine) Her wonderful view of life, music, literature and art continues to inspire me. 3.) 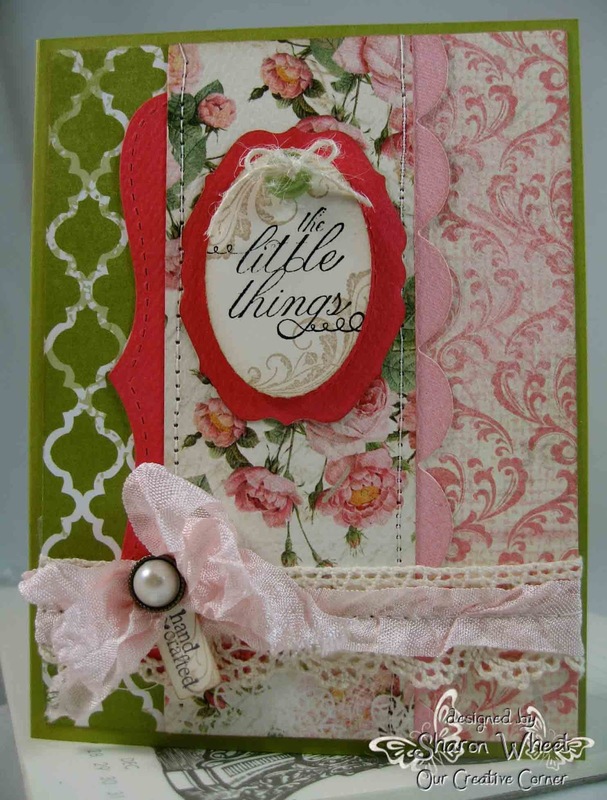 If you could only use three craft supplies for the rest of your life, what would they be? Distress inks - How I ever made anything before these I will never know. They have transformed my work totally. Balsa wood - Otherwise my dolls house is never going to be completed!!! 4.) CAS or layering? Why? Layering - I have always been and always will be a layering person. 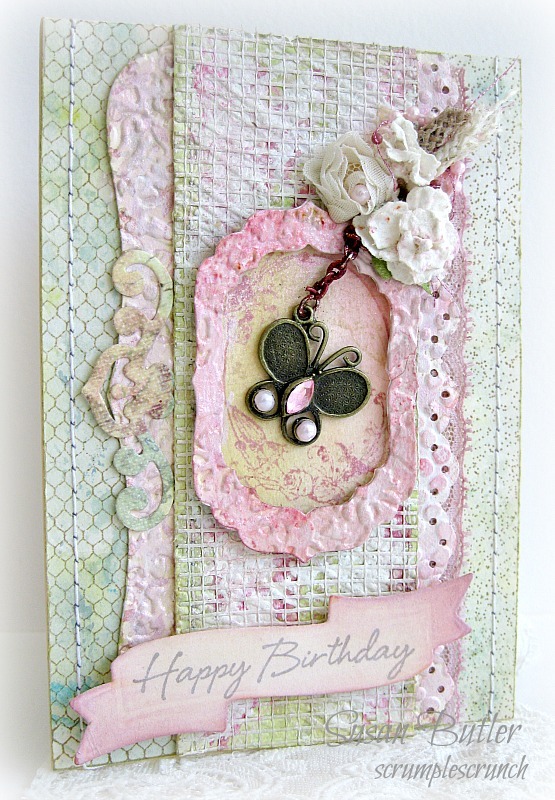 My early card making and scrapbooking work were full of layered pieces of different texture card and papers that had been torn and chalked (pre DI days) edges. 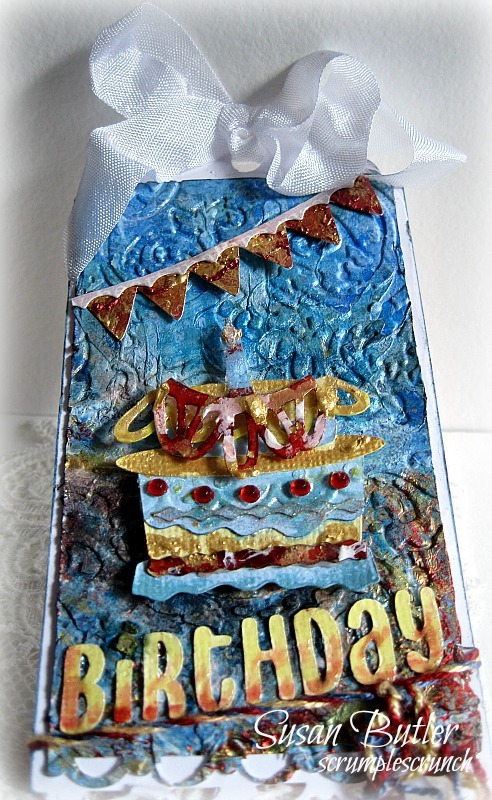 Layering has always appealed to me and I think it fits in with how my mind works - I never ever know when to stop! Sometimes I do have to remind myself that I am not building a tower here! 5.) Do you pre-sketch a design or do you just wing it? How long does it usually take you to make a project? 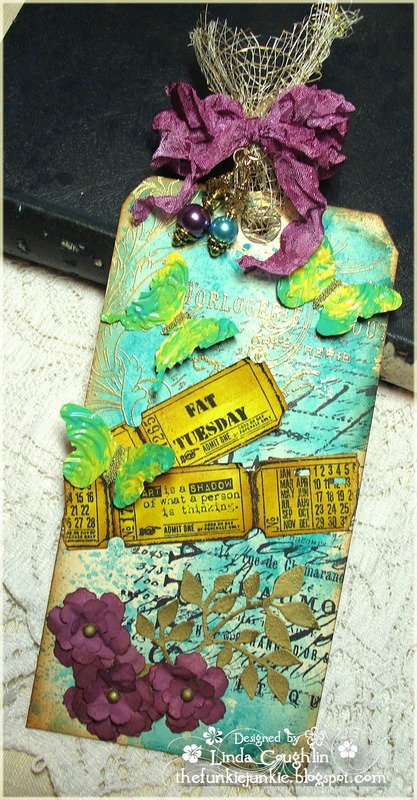 I never pre-sketch tags, cards, ATC's and scrapbook pages. My preference is to just go with it and see what happens. For most craft things, to sit and plan takes too long - I'd be wasting vital crafting time! Having said that, for my larger projects like this shadow box, I do need to plan and sketch first because I can work out all the measurements - This was essential to making the box accurately. For this creation it really wasn't possible to wing it. Sketching a design has occasionally been an urgent matter too - While watching 'The devil wears Prada' I saw a scene where Meryl Streep is sitting by a gorgeous cabinet. Luckily I had pen and paper to hand and I sketched the quickest, roughest sketch ever of that piece of furniture in the few seconds I had left to get the details. I know, I could have hired/bought the film and watched it again - but I had to make that cabinet straight away! I am a 'do it now' person when the inspiration strikes! That cabinet is now one of my most treasured pieces of furniture that I have made for my dolls house! Because I make so many different types of crafts, the time spent really varies. A tag can be done in under an hour...A few hours is average for most things but major creations can take weeks. The longest I have ever spent planning a project was a scrapbook album gift and that took about about three months to plan and the longest it has ever taken me to actually make something was a very large acrylic painting I did of Oaxaca Cathedral and that took me 6 weeks to complete. 6.) If you had a time machine, that worked only once, what point in the history or the future would you be most inspired to visit and why? Thank you Laura for being our 'Thursday's Top Talent' and sharing such wonderful inspiration with us! 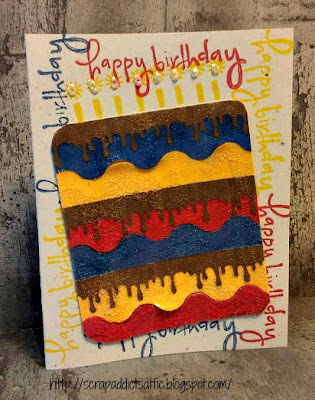 If you want the chance to be part of Top Talent Thursday on Our Creative Corner, then just join in our current Challenge- “Create a Cake Creation” here, you still have some time to participate. It is just so bright & fun and it made me smile every single time I looked at it! Our lovely Top Talented Coordinator, Susan, will be in touch with you very soon to make arrangements for you to be spotlighted as our Top Talent Thursday on Our Creative Corner. 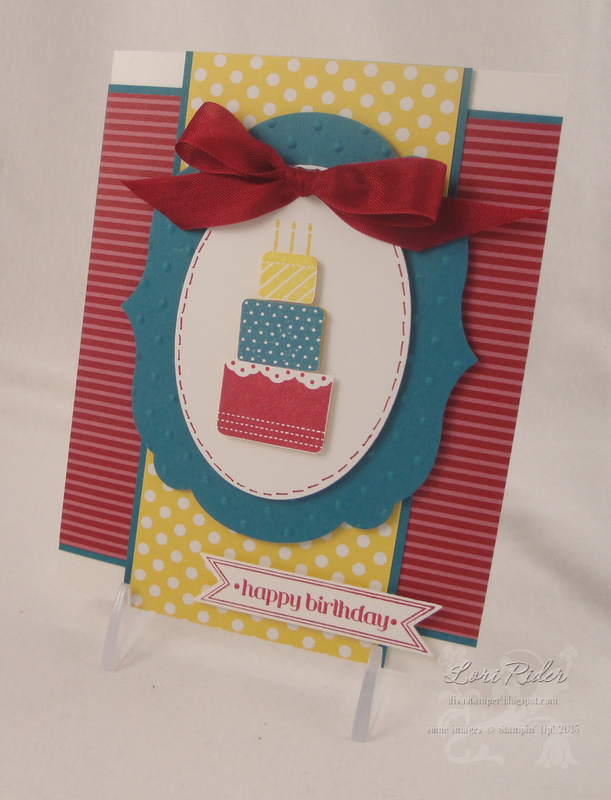 Don't forget, there's still time to play along with my current challenge "It's My Birthday" which is a color combo challenge with a theme. Please make sure you link back to us when posting your submissions! Once again it is my utmost pleasure that I present to you, a lady who generates marvellous work. I feel so privileged to be able to present to you each week such talented people here on Top Talent Thursday. I know they are all appreciated by you and Vada will be no exception. 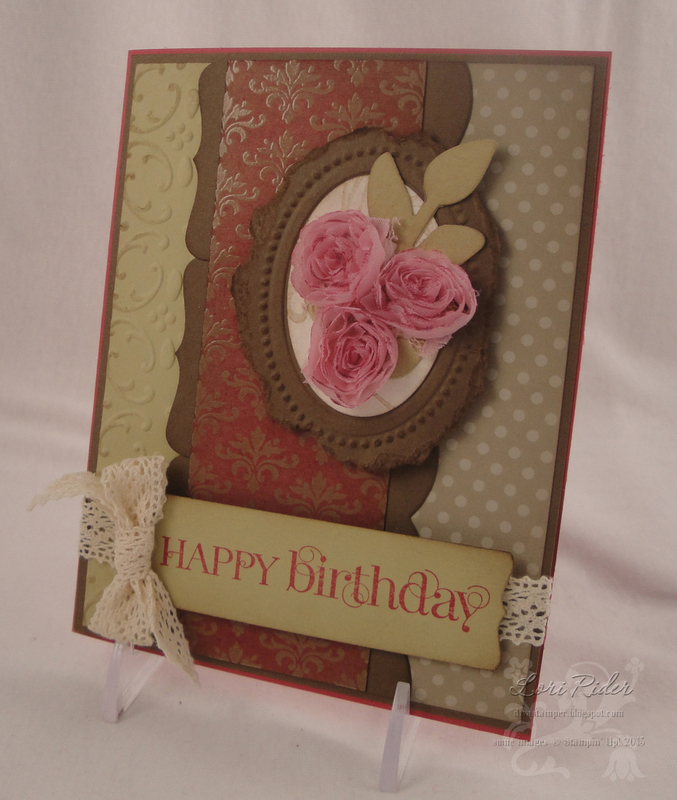 So please welcome and congratulate our Guest and ‘Top Talent’ for this Thursday and winner of the “Decorative Edge” Challenge. Let us learn a little bit about her. 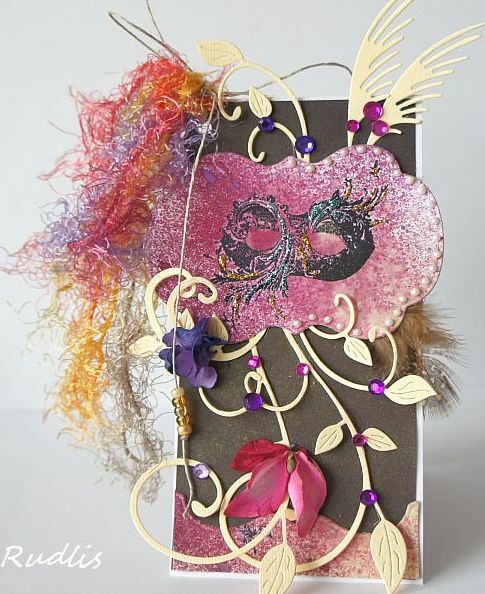 This is Vada’s beautiful card using the ’Birds of a Feather‘ plate from Artistic Outpost. Thank you Vada for being our 'Thursday's Top Talent' and sharing such wonderful inspiration with us. 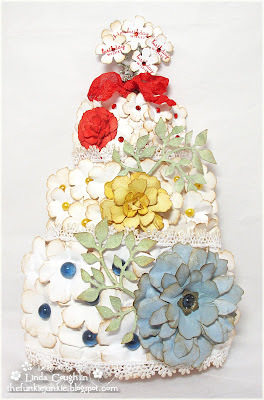 I would urge and encourage you to pop over and visit her Blog to see more of her commendable work. If you want the chance to be part of Top Talent Thursday on Our Creative Corner, then just join in our current Challenge here you still have some time to participate. 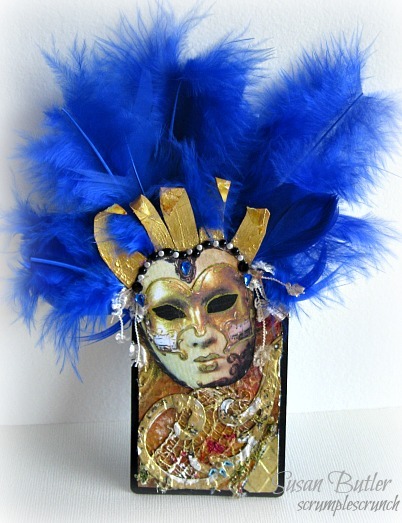 Absolutely love the transformation of the black mask to really represent the shimmery colors of Mardi Gras as well as the beautiful feathers, the piece of an old earring and that terrific vintage pot holder! 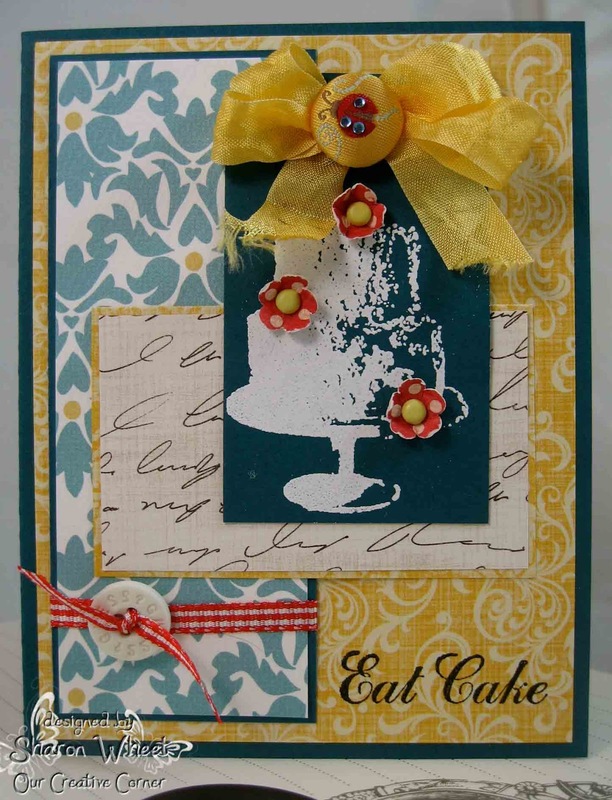 Not to mention the additional colors and embellishments that really brought the festive feel home! Our lovely Top Talent Coordinator, Susan, will be in touch with you very soon to make arrangements for you to be spotlighted as our Top Talent Thursday on Our Creative Corner. 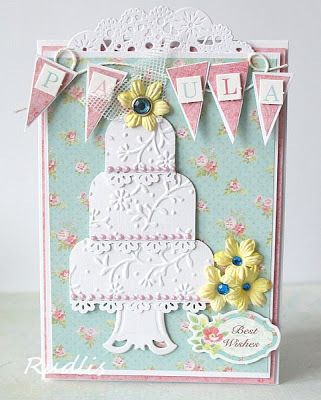 Don't forget, there's still time to play along with Paula's current challenge "Gettin' Sketchy." Please make sure you link back to us when posting your submissions. Welcome back everyone who has played along with us before and a huge Welcome if you're new to our site! Paula here with my first ever sketch for you to try... that's right, I've never drawn up one before so this is a big experiment for me. I cannot wait to see what everyone comes up with! Feel free to place your sentiment where it works best for your creation. The sketch can be rotated and we need to be able to see all the elements from the original sketch, but used however you like. Happy Valentines Day, and for those who celebrate, I hope you have received some love in the form of Chocolates or Flowers. 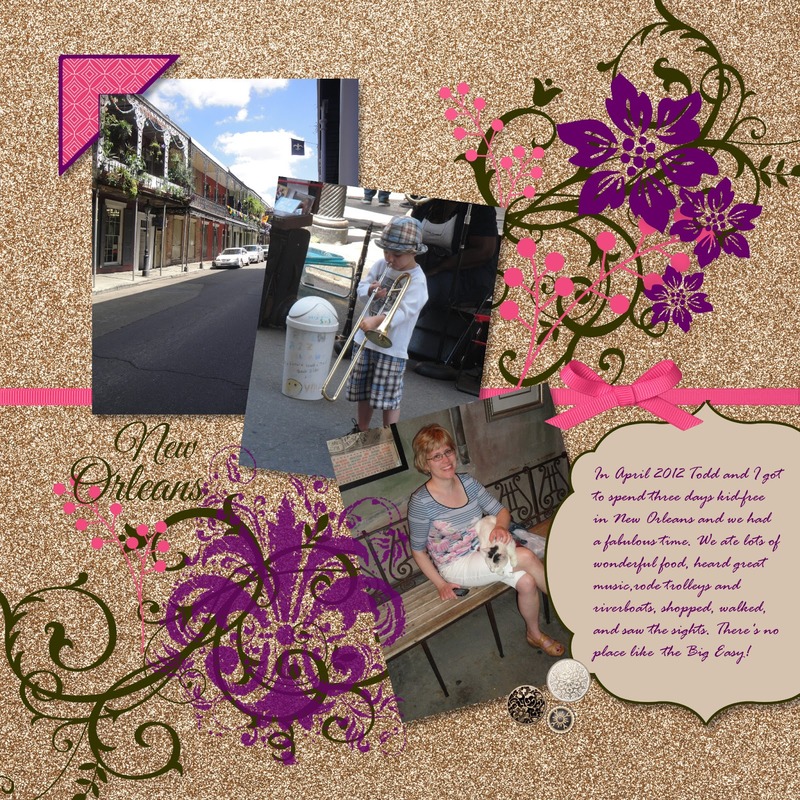 It is with utmost pleasure that I present to you this Thursday all the way from USA, a lady who has just started up a Blog and is a little apprehensive of moving into the unknown here at Top Talent Thursday. When she was informed of her win for the “Shabby Chic” Challenge, I don’t think she quite believed it, but when you view her card you will understand why she was successful, as her work is just delightful. My husband and I live in Sherwood, Oregon, which is just south of Portland. We are fortunate that most of our family is within a days travel in the Pacific Northwest. 2.) Do you enjoy 'stepping out' of your comfort zone? If so why? I love learning new techniques, but I don't always feel brave enough to jump in on my own without something visual to go by. I like best to attend a workshop or class, or using a step by step visual tutorial to learn and try something new. 3.) Do you work on more than one piece at a time? I always have lots of ideas for projects rolling around in my head, but when I sit down to work on something I usually like to finish it before moving on to the next one. 4.) Describe yourself in five words? 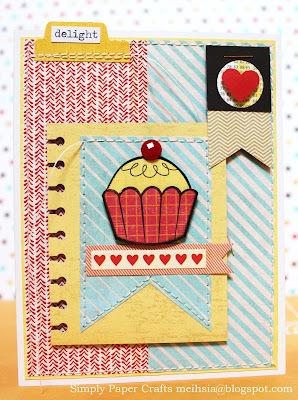 Friendly, optimistic, curious, affectionate, and totally addicted to stamping (can that count as one word??). 5.) What techniques or routine do you employ to inspire yourself? 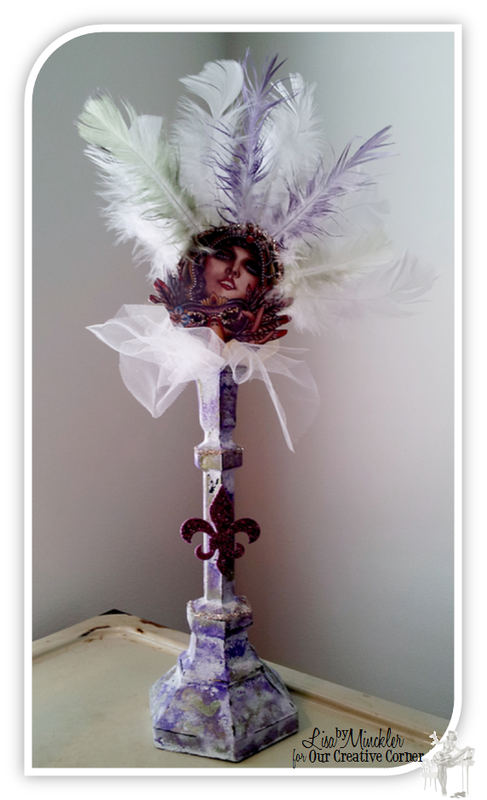 I have numerous blogs I view routinely to get inspiration, including Our Creative Corner. 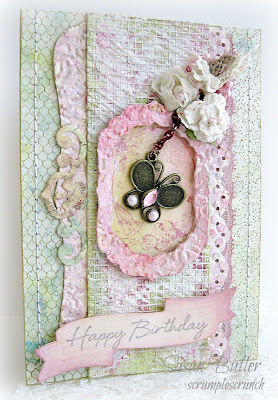 I love the daily challenges at Splitcoast Stampers and try to view the latest trends at Moxie Fab World. I'm not a trend follower, per se, I just like to see what is new. 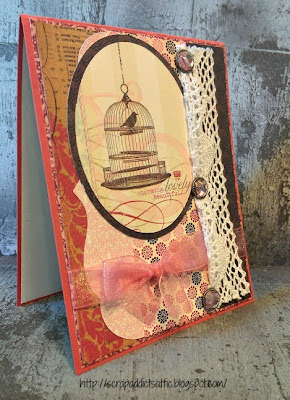 Having been a card maker/paper crafter for just under 6 years, I have found a new appreciation for color and composition in a wide variety of formats where I never really noticed before...books, magazines, commercial web sites, etc. 6.) 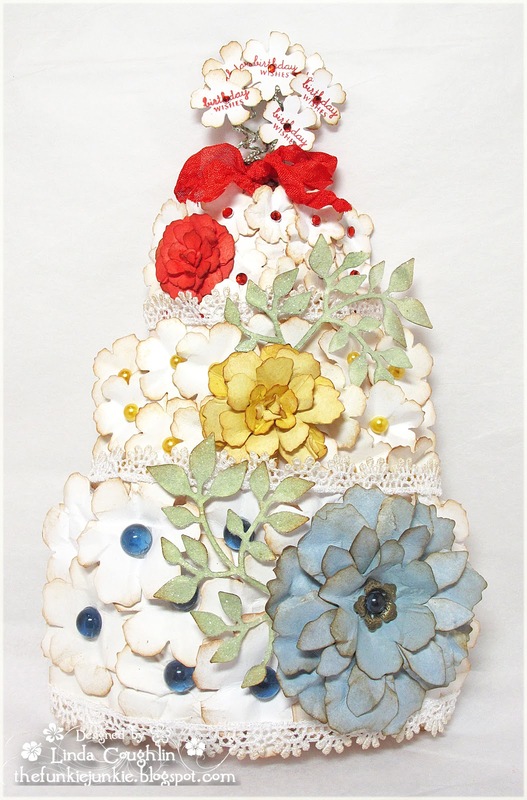 What other hobbies or talents do you have that you'd like to share with us? Card making is my primary hobby but I have also dabbled in pencil, charcoal and colored pencil drawing. I like to sit down with a good book (but haven't done so much recently - too many cards to make LOL) and enjoy spending time outdoors camping and hiking when the weather turns warmer and drier. Thank you Steph for being our 'Thursday's Top Talent' and sharing such wonderful inspiration with us! 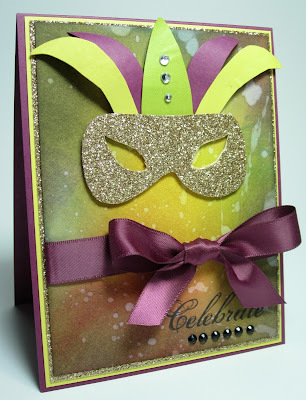 If you want the chance to be part of Top Talent Thursday on Our Creative Corner, then just join in our current Challenge "Party like it's Mardi-Gras"- here you still have some time to participate. 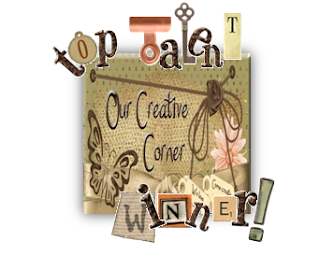 Congratulations Synnøve and feel free to add our Top Talent winner's badge to your blog. 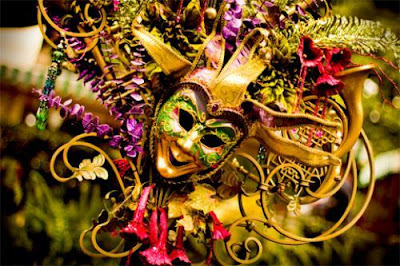 Don't forget, there's still time to play along with our current challenge "Party Like It's Mardi Gras." 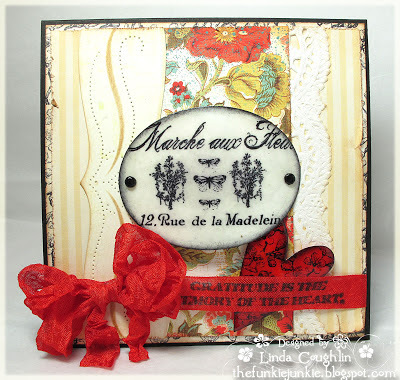 We welcome you back to another challenge at Our Creative Corner and before I reveal our newest challenge, we'd like to say thank you for your fantastic entries you submitted last week for the Valentine Sketch Challenge. Make sure you check back on Wednesday to see who the lucky winner is! 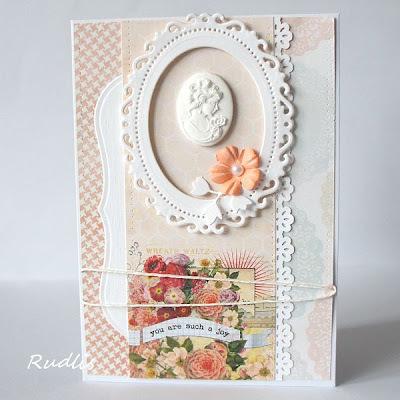 Also, we had another amazing Top Talent Thursday post from the extremely talented winner Silke. Party Like It's Mardi Gras! Create any project using the inspirational photo below. Please explain what about this image inspired your creation.